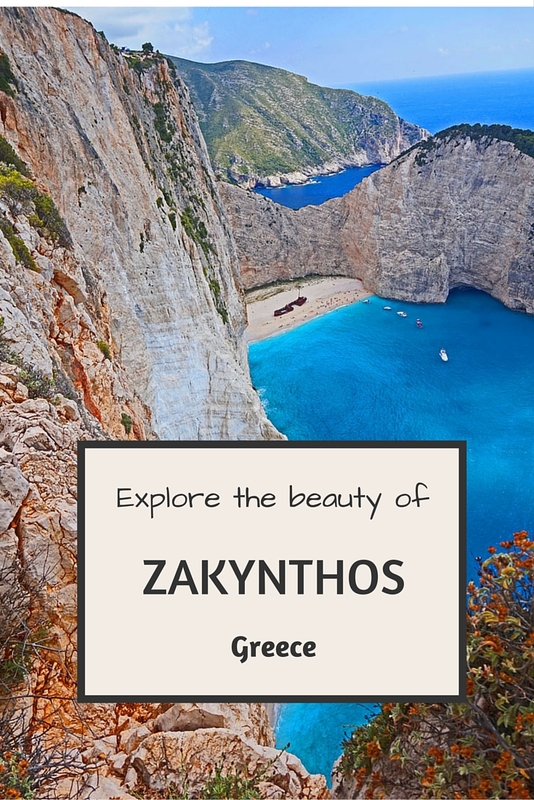 Seeking the world’s most spectacular beaches must include travel to the island of Zakynthos off the coast of Greece. 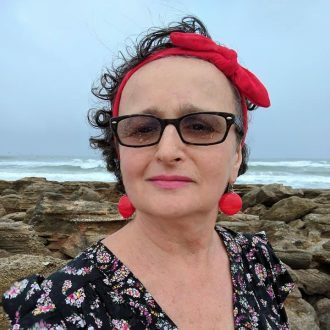 This Traveling Mom figured out the tips to make such a journey possible. Getting lost within the beauty is her advice. 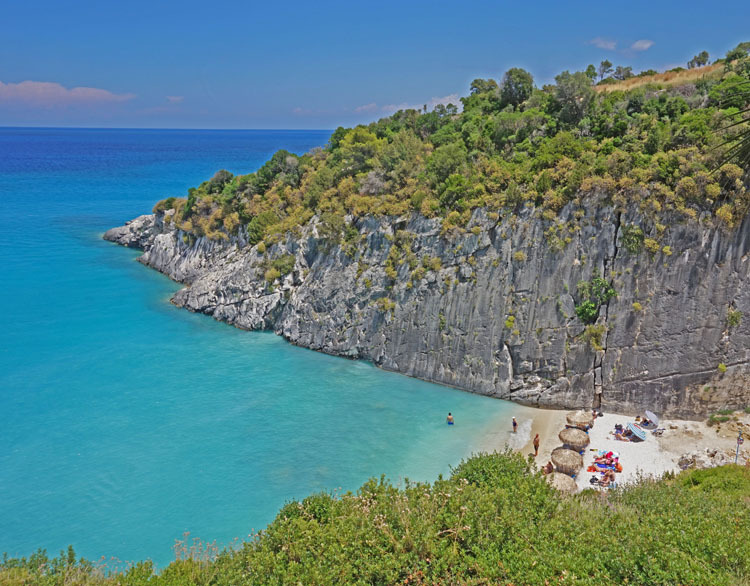 Despite its economic turmoil, Greece is a world-class destination. With the strong US dollar, American tourists should not hesitate to visit. Plan in advance, take plenty of cash, and start your journey! 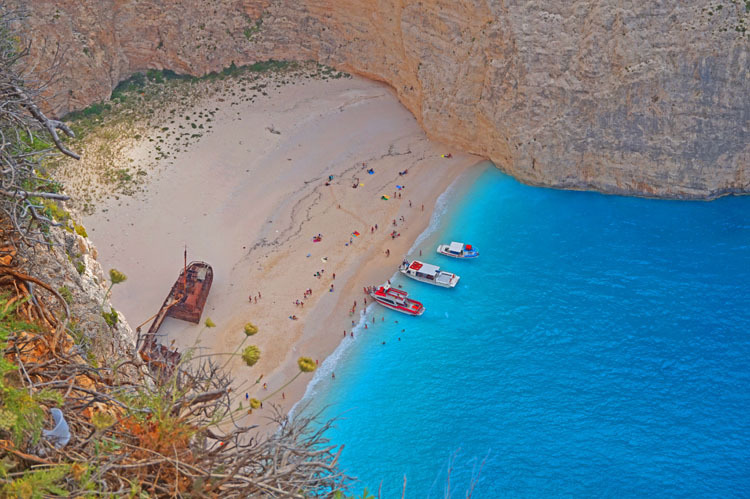 I was drawn to the island by stunning images of Navagio Beach. 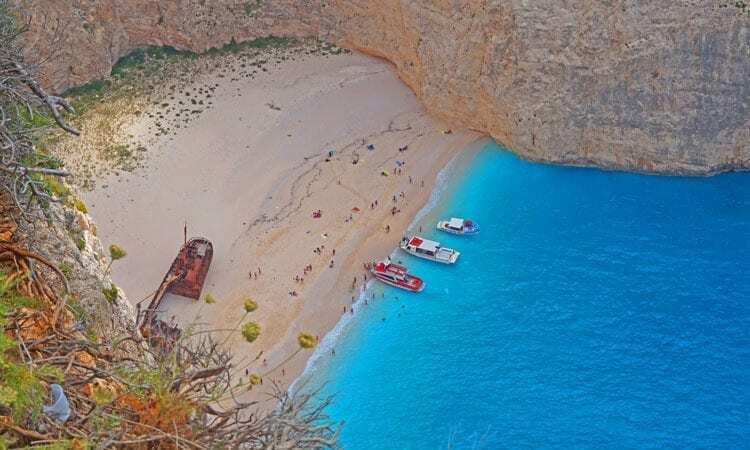 Also called the Shipwreck, it is recognized as one of the world’s most beautiful beaches because of its white sand, incredibly blue water, and massive limestone cliffs. But the island is not only about Navagio. 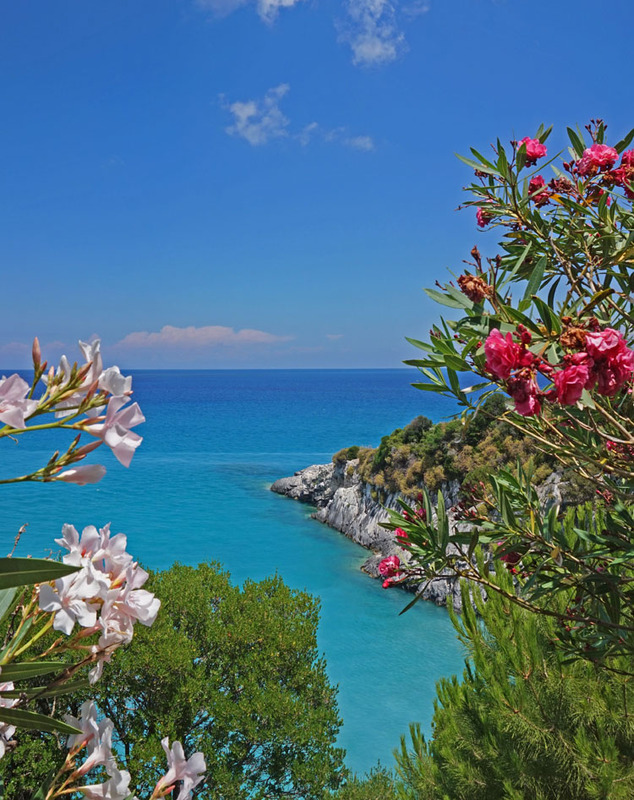 With its 76 miles of diverse coastline, Zakynthos has a beach for everyone. 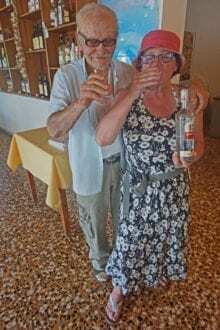 Add to it great weather, beautiful mountains, charming villages, local taverns, shops and restaurants, even a trendy organic farm, and you will get one incredible destination. Of course, the first attraction I visited on the island was Navagio. I started with the view from the top, accessible from a small overhanging platform. This is where the majority of pictures I had seen were taken from. It was a breathtaking scene, but I wanted more. I hiked some distance away and then I inched my way towards to the unprotected drop. Then I crawled, and finally I was on my belly taking pictures. It paid off. I believe my panoramic images of the beach are one of a kind. The only way to visit the beach is from the water. When my boat turned toward the beach, my heart started to beat faster. Once again, I was overtaken by the scene. It was an amazing experience to sunbathe and swim at this spectacular world-class beach. Keri Caves and Blue Caves are also great boat destinations. When taking an excursion, do not expect American type of service. You paid to see the place, not to be entertained by the boat operator. The price is right, the scenery is gorgeous – you will love it anyway. Do not forget to explore the land. Just drive around with no destination. Every turn delivers something new – a craft stand, an old church, a goat crossing the road. 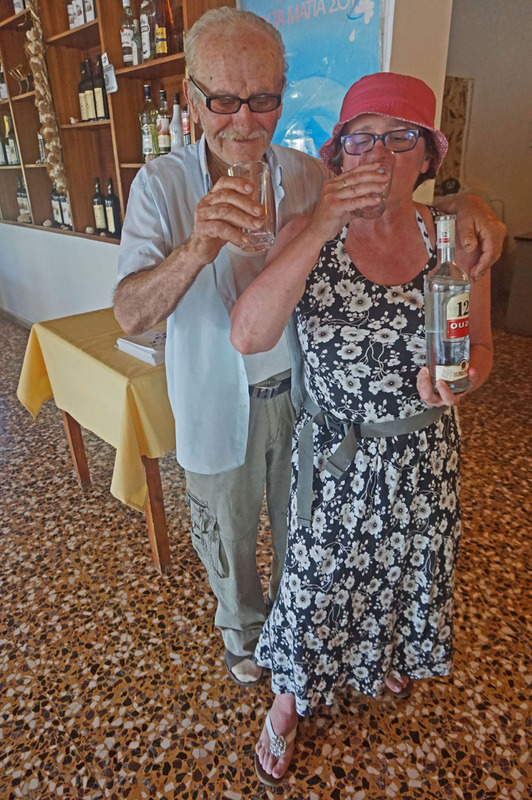 Stop at the local tavern, talk to strangers, have a shot of ouzo with them. This is what you will bring home with you, a mosaic of views, sounds, smells, and tastes of the island – your memories of Zakynthos. Having your flight, hotel, and car reservations are as far as you can go. Do not waste your time trying to arrange for excursions. If you send emails for more information, you will get no answer. After arriving in Zakynthos, I found out why: There are no set schedules, timetables, or prices. “Offices” are located under beach umbrellas. For great tips on visiting other areas of Greece, read this. The best time to visit is at the end of June. It is already warm, comfortable for swimming, and spring flowers are blooming. July and August are hot and crowded but with so many beaches around, there are plenty of opportunities to cool down and escape the crowds. With pleasant temperatures, September and October are also good times to visit. There are no direct flights from the USA to Zakynthos. A round-trip ticket to Zakynthos from major USA airports would cost at least $2,000, but there is a better way. Buy two separate tickets, one from the USA to Athens, for around $1,000, and another one from Athens to Zakynthos. Aegean Airlines and Olympic Air offer several flights a day at $140 round trip. It will be a significantly cheaper option and will allow you to visit Athens. There is also a daily bus service between Athens and Zakynthos. Tickets must be bought in person, paying with cash. You will also have to buy a ferry ticket. Together, it will cost around $60 for a round trip. It is easy to make an advance reservation from the USA. There are many inexpensive hotels to choose from. My first night on the island, I spent at Varres Hotel. I would recommend it to anyone looking for a good value. It is located in a peaceful setting surrounded by olive gardens, but close to the town of Zakynthos. It is a modern hotel with a large pool and nice views. I paid $60 per night with a good buffet-style breakfast included. My second lodging was Armonia Studios. It offers views of the sea, a short walk to the beach, nice garden-like restaurant, and a playground. You can rent a studio for as low as $45 per night or a two-bedroom apartment for $80 per night when I visited in summer 2015. My final accommodation would appeal to families with small children and travelers looking for peaceful unique places. At Logothetis Organic Farm, you will be introduced to farm vacation at its best. A charming two-bedroom house cost $70 per night. Many major international rental agencies are represented at the airport. Cars with an automatic transmission are not widely available so reserve well in advance. I used Economy Car Rental, which offers very good rates, often 25 percent off in comparison to its competition. In the USA, I use credit cards extensively to collect my points and miles, but it was not the case in Zakynthos. Cash is the king there, regardless of Greece’s economic situation. See more tips on how to handle cash in Greece. The first time I bought gas in Zakynthos, I felt I was robbed. An average price is more than $6 per gallon! What kind of food can you expect in Zakynthos? Greek! Along with traditional food ,you might find pizza and hamburgers. Prices are similar to those in the USA. Previous Post: « Harrods, London: A Family Destination? Have fun! I heard summers are crowded so try to visit the beach early or late in the day, and just drive around to find your own!